STRETCH GOAL! Help us feed another 250 people this Thanksgiving! A seat at the table for a Thanksgiving meal. A turkey! The big event! A whole dinner for a family of five. Two families will have a dinner because of your generosity! Woohoo! STRETCH GOAL! Our first goal was to help share Thanksgiving with 500 people. We hit that goal and then some! But there is still three days left and we think there's potential for us to help even more families. We're announcing a $7,500 stretch goal. That number will help us to touch the lives of another 250 individuals on this holiday. Can you help us? 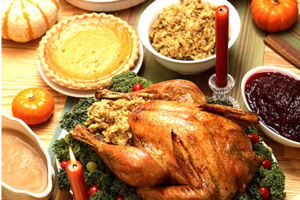 To throw a Thanksgiving dinner for a family of five, the average cost is about fifty dollars. For low-income families, this cost may be completely out of reach. 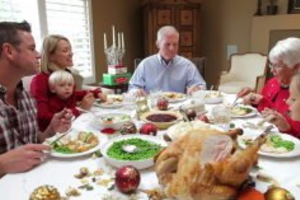 The Live Greater Foundation believes that Thanksgiving is a time to enjoy family and to reflect in gratitude. Money shouldn't stop a family from celebrating a holiday. 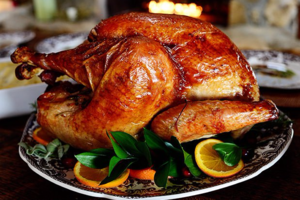 With your help, families living in poverty and men in homeless shelters will all receive Thanksgiving meals that they may not have received otherwise. We are proud to partner with organizations in four states including Wichita Catholic Charities Food Pantries, Wichita Guadalupe Clinic, Inter-faith Ministries of Wichita, St Jude's Wichita Food Pantry, Most Blessed Sacrament Friary of Newark, NJ, St. Anthony's Shelter in the Bronx, and St. Gianna Women's Homes in Lincoln, NE. 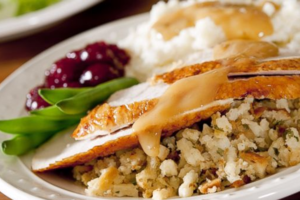 Would you join us in making the Thanksgiving meal possible for families who may not be able to afford it? 100% of your gift will go toward supporting families in need. Your small gift will make a big impact, helping make Thanksgiving a reality for struggling families.